KUALA LUMPUR: Malaysia will continue to aggressively identify countries to be its partners to improve the halal economy amid the global political and economic uncertainties. Halal Industry Development Corporation Sdn Bhd (HDC) (industry development) vice president Hanisofian Alias said given the unstable economic condition, it is crucial that halal producers in the world support and complement each other to sustain and develop their businesses. “We alone cannot produce everything, thus, we need each other to build competitiveness and provide market access. “For example, we have recently signed a memorandum of understanding (MoU) with South Korea. This will enable us to learn about their latest technology and market our products there, while they will also learn more about halal and able to market some of their products in Malaysia,” he told Bernama on the sidelines of the 11th World Halal Conference (WHC) 2019 here. Previously, he said Malaysia has also made similar agreements with Taiwan, Japan and European Union. Moving forward, Hanisofian said HDC is also looking at India to become its next partner, as it has been Malaysia’s top 10 trading partner last year. “We see great potential on exporting our halal raw materials and food processing goods including palm oil products. “However, we need to do further study about India’s economy, level of acceptance and access to market before making any final decision,” he said. Last year, Malaysia’s total halal export stood at RM40 billion compared to RM43.4 billion in 2017. 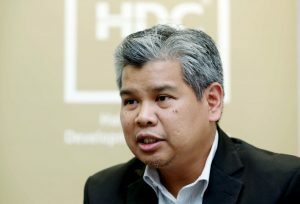 Elaborating on the acceptance of halal, Hanisofian said as there is still a huge gap of people not understanding what halal and the halal logo means, thus leaving Malaysia with a lot of work to do in terms of communicating and educating the international public on the matter. “Because some people in the world are still influenced by Islamophobia, it is our job to tell them what halal is, and what the halal logo represents and the value it brings. “One of the ways is by relating it with the United Nation’s (UN) Sustainable Development Goals (SDGs). “Using propositions such as SDG provides a starting point beyond just halal as it talks about taking responsibilities and accountabilities to the local community. “This will be more accepting by the non-Muslims,” Hanisofian added.